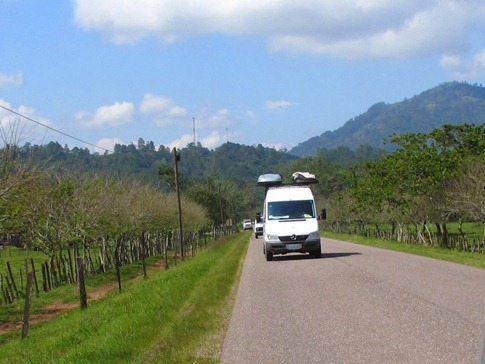 The caravan set out for the final leg of our journey together from Copan Ruinas to Lago de Yajoa. From there, Tree and Stevie would turn north towards the Caribbean coast, the Bay Islands and Trujillo, Columbus’ first landing in Central America and a town that happens to bear Tree’s last name. 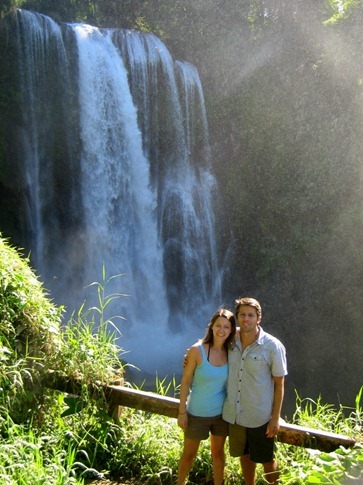 Trivia fact: Honduras actually means “deep water.” Our plan was to continue across Honduras (the land part) with Chad and Emily who were anxious to get to Costa Rica. 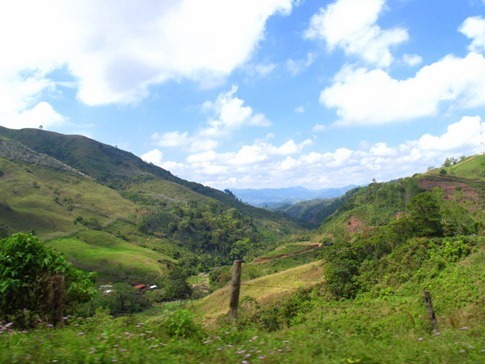 Though the cops and roads have not made Honduras the most welcoming thus far, it’s a beautiful country of rolling foothills with some world-class cultural sites. And any inconveniences we’ve had pale in comparison to the horror stories we’ve heard about the southern route on the Pan American Highway. 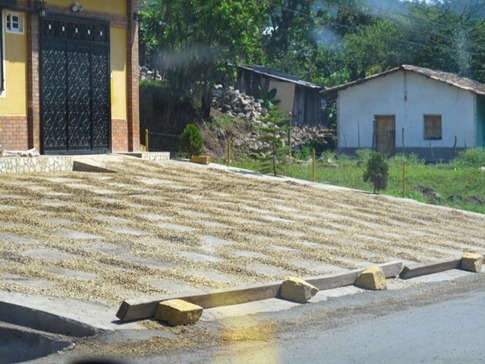 Honduran slalom. Thank God someone put rocks in the road so we wouldn’t hit that pothole. Watch out for the horses! 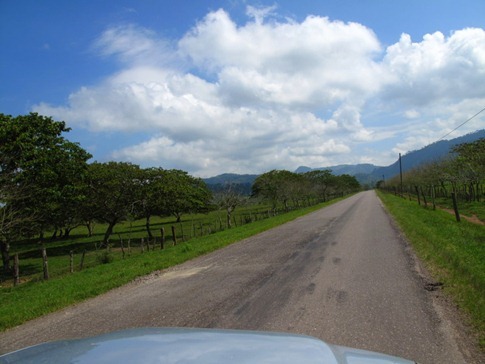 We drove north towards the second largest city in Honduras, San Pedro Sula, because… well, that’s where the main road goes, and based on the condition of the main road, side routes didn’t seem like the best idea. 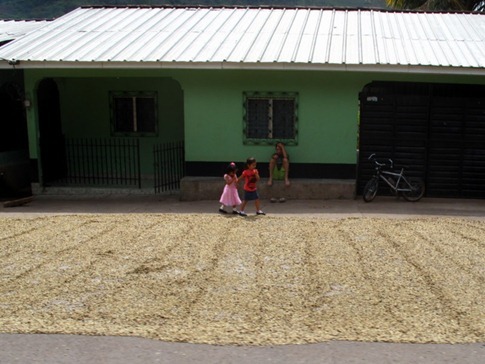 The streets in front of small houses were paved with drying coffee beans, turned every so often with a rake. I thought it was only a matter of time before we pulled off into one of these to ask directions and ruined everything. Although, it would have smelled delicious. 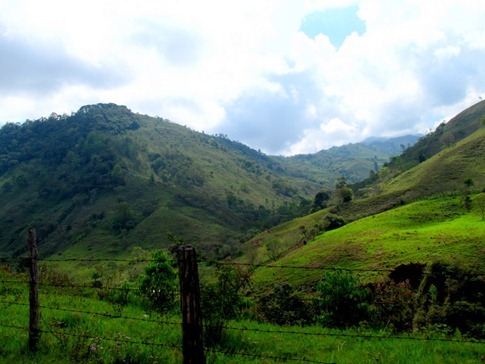 Between La Entrada and San Pedro Sula, the terrain opened up into farmland. 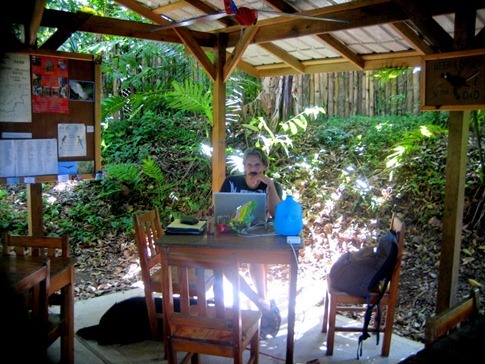 GPS has been essential for the past few weeks in El Salvador and Honduras. On the off chance a sign exists, half the time it’s blocked by a tarp from a market stall or a truck. 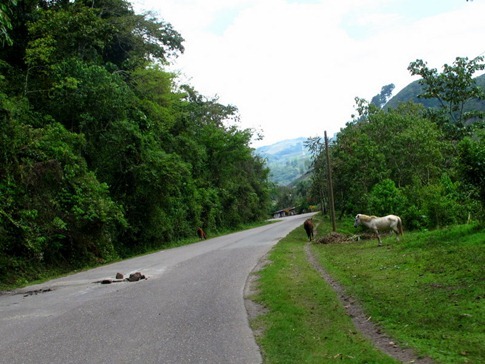 We do our fair share of stopping to ask for directions too, but the locals typically just make wild sweeping gestures that imply a series of complicated turns while saying “Todo derecho” (all straight). Communication is tricky in the caravan. We’ll swing onto the shoulder to allow Tree to come up beside us in the Sprinter to consult on the plan. Once we speed off in search of potholes, Chad will pull up beside the Sprinter, and Tree will tell him, “Dave told me not to tell you what’s happening.” On one occasion, Chad managed to yell, “GAS!” Understanding a sense of urgency to the request, we pulled into the next gas station. It was after I’d told the attendant “lleno con super” and the nozzle was in the tank that I saw the first guy with a gun in his waistbelt. Standing beside a pickup with enough aftermarket hick-bling to make Kenny Chesney feel like a city slicker, he seemed friendly enough, but I was most concerned about the thirteen year old kid with the automatic rifle who appeared from the other side. It was clear that they were they to protect their boss. I busied myself with supervising the filling of my tank while the achy-breaky FARC turned his attention to Chad. 5 minutes later, Chad was still nodding appreciatively at his pictures which we later learned included helicopters and construction projects (“I build things. 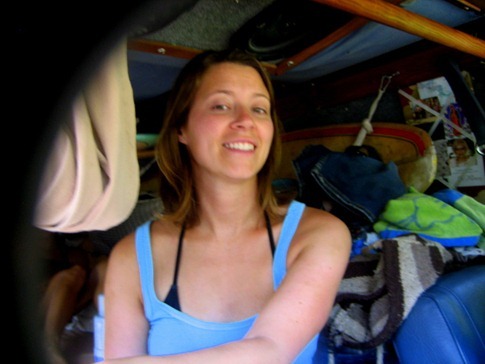 I do not destroy.”), as we sat with the engine idling and the truck pointed towards anywhere-but-there. When Emily approached them, he pulled his shirt over his gun and apologized to her, “Please excuse me, I am arm-ed.” The gas station security guard - because pretty much since Guatemala every gas station, grocery store and Pepsi delivery truck has had a dedicated guard carrying a shotgun – nervously edged over to where they were all standing, overwhelmingly outgunned but figuring it was his responsibility to keep an eye on the situation. While the whole situation was amiable, we all felt like the wrong comment in response to one of his pictures combined with his growing buzz and ample firepower could have sent things spiraling. 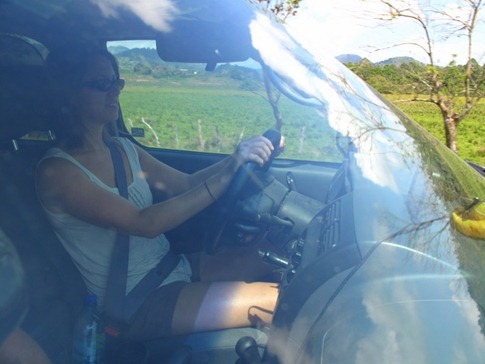 Once back on the road, our eyes scanned our rearview mirrors for the blue truck. Tree pulled up beside me and said, “We drive to the brewery, and we stop for nothing.” This time, he probably delivered the message word for word to Chad. 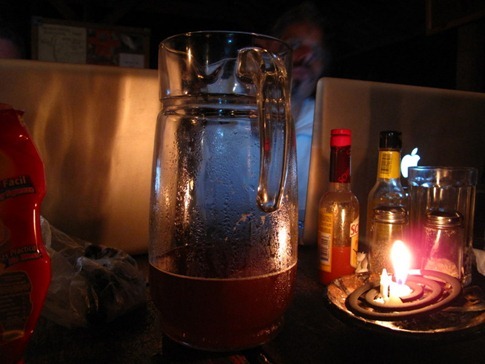 We’d heard about the D&D Brewery from the Bodes Well blog, the entertaining chronicles of a couple and their young son driving to South America in an old VW bus, and had been using it as a justification for our roundabout route through Honduras ever since. We’d all been drinking so much light lager on our way through Mexico (Pacifico, Indio, Victoria), Belize (Beliken), Guatemala (Gallo, Brahva), El Salvador (Pilsener, Golden) and Honduras (Salva Vida, Imperial) that we were willing to do just about anything for an amber ale. And so far, Honduras was testing our resolve. Amazed once again at how anyone drives in Central America without a GPS, the sharp angle southward onto CA-4 just below San Pedro Sula was completely unsigned. Not too far after, another unsigned side road led our caravan climbing through steep, curvy roads towards Lago de Yajoa. SprinterLife and PleasureDevice say they can tell immediately whether it’s me or Ann driving our truck; Eliminating all doubt, I roared up the hills and around the corners - to check the road ahead for obstacles I would later claim - knowing that I’d be able to catch a glimpse of my two white sheep on the next straightaway. This time, they didn’t come into view. We pulled over and waited. Still nothing. 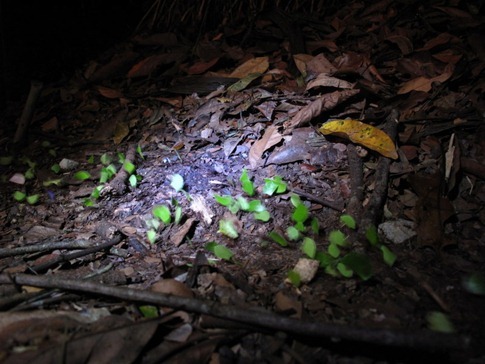 Of course, the moment we decided to turn around, they appeared, coming slowly. Tree yelled that the Sprinter had spewed a big cloud of white smoke and lost power before going into a controlled “limp mode” that wouldn’t let him go over 20 miles per hour. We’d all been pushed a little hard that day, and while the Sprinter would recover power as we approached the brewery, it wasn’t until the third pitcher of flat but delightfully opaque beer under the palapa roof of the brewery that the rest of us would wind down. On the weak connection at the brewery, we searched Sprinter forums for answers while Tree sent emails to family back home who would call around to dealerships when they opened the next morning. The turbo resonator, a plastic part that muffles the high-pitched whine of the turbo, has been known to come apart at a seam in high heat, sending a failure message to the computer that hobbles the engine and emerged as a likely culprit. By morning, Tree had one of his guys at OutdoorPlay packing up the replacement part and heading to FedEx. With Mercedes-Sprinter dealerships few and far between in Central America, getting the part delivered to San Pedro Sula in a few days was the best way to get them back on the road and heading towards the Caribbean. The next step was getting Tree comfortable with the installation. We downloaded a great set of instructions for a “turbo resonator eliminator,” an aluminum part developed by a third party to remedy this defect, and cobbled together the tools we needed from all of our toolkits. In nearby Pena Blanca, even the third and largest hardware store we found didn’t have the female T40 torx socket for a 1/4” ratchet we were looking for. One a positive note, if I ever need a “mujer Torx cuarenta socket con cabeza de un quarto,” I now know how to ask for it in Spanish. After seeing us fumbling around for while, a smiling guy in jeans, a western shirt and a cowboy hat asked in broken English if we needed any help. We explained that if we could just find a quarter inch ratchet with a long handle, we’d be all set. He set the store in motion, first consulting with the heavily armed security guard and then a few people standing behind the counter in front of the warehouse. They all agreed they didn’t have what we needed. Our new friend then escalated our issue to another guy who motioned for me to follow him. He walked up to the warehouse counter and, in Spanish, told them to take me upstairs into the racks and let me look until I found what I was looking for. Upstairs, just as I confirmed that they didn’t have it, a girl in her 20’s asked in Spanish if everything was okay. I answered that it was, but that we hadn’t found what we needed. My Spanish must have been awkward enough for her to ask “Do you speak English?” I said, “Yes” and followed with “and your English is really good.” “It should be,” she responded. “I’m American. I work in the stock room. 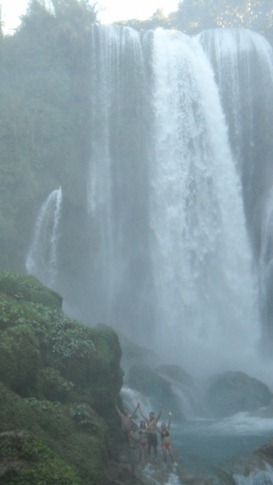 If you need anything else, my name is April.” Pretty surprising for a small town in Honduras. We left with a small box wrench that seemed like it could get purchase on the Torx screw and a feeling like our impressions of Honduras were loosening as well. 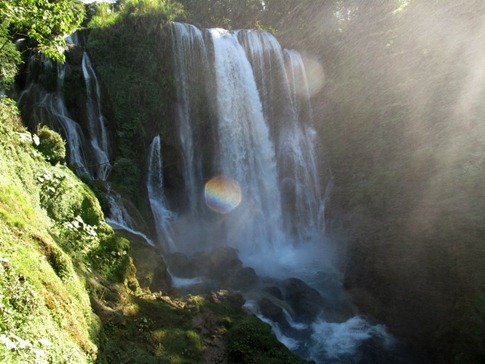 We made plans later in the day to go a waterfall we’d heard about, Catarata de Pulhapanzak. With the stress of the morning, work and uncertainty about whether to continue towards the Caribbean or stick with the caravan weighing on him, Tree decided to stay behind. The rest of us piled into PleasureDevice and hit the road. 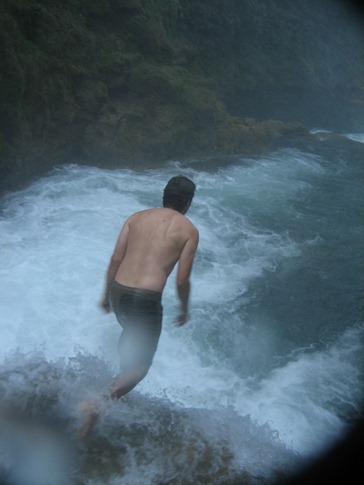 We’d been told by a young Canadian staying at the brewery that, even with a guide, the tour behind the waterfall was “a pretty intense 15 minutes.” After paying an entry fee, we walked down the path to an overlook, unsure how to even get down to the falls. 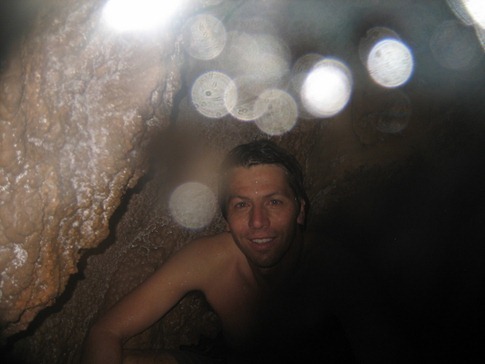 Whether it was the talk of a tiny cave or the need to look down so you could breathe as you were pounded with water, Ann decided she’d stay behind and take pictures. Our second backup camera, a small digital point and shoot that we’d brought thinking we’d donate it along the way, fit well in the waterproof case we bought for the other small camera that was stolen in El Salvador. The black “halo” on some of the shots below is from the waterproof lens window. If you didn’t keep a close eye on the person in front of you, there was a moment where you couldn’t tell exactly how they gotten over the next 2-3 foot section of grippy but sloping rock. 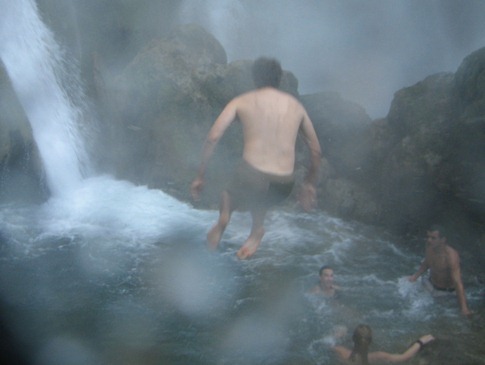 To your right, the falls dropped 15 feet into a churning cauldron; Above, water fell from the lip 200 feet above, crashing on rocks as it went, sending drops flying from all directions. 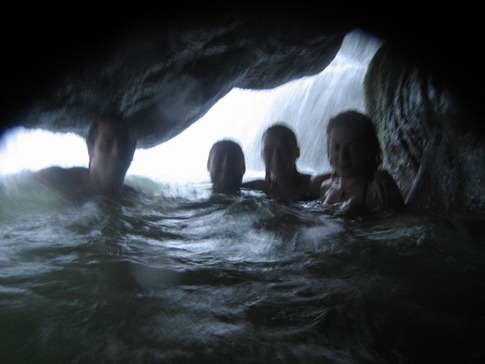 The four of us followed Alex into a cave that required a slippery crawl through a tight entrance of smoothed rock. 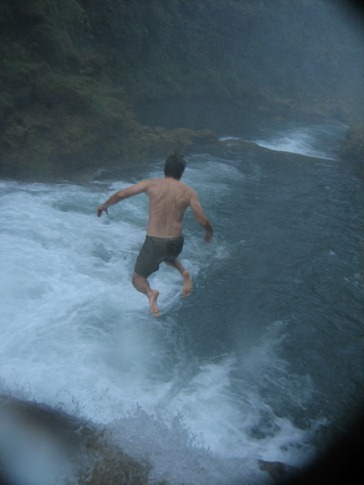 Two more jumps into pools, each higher than the last, and we climbed onto an island of rock in the throat of the waterfall’s drainage. Here the water vapor was blowing by us horizontally, making us feel like weather reporters sent to eyewall of a hurricane. 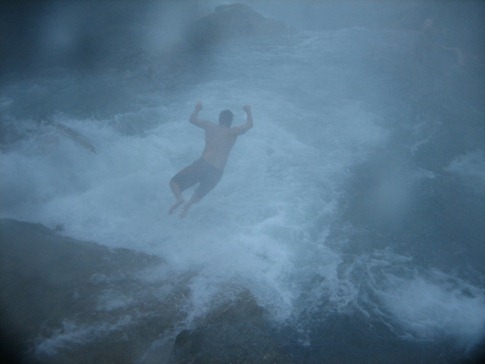 Then Alex dove off the final rock ramp and into the rushing current. One by one, we followed. You couldn’t help but feel like you’d survived something. 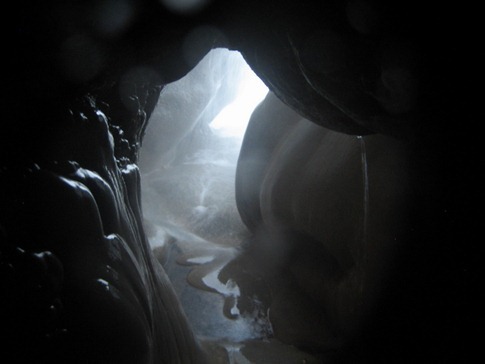 As we climbed waterlogged back up the steep, slippery slope, we again reached the point we’d passed on the way in. 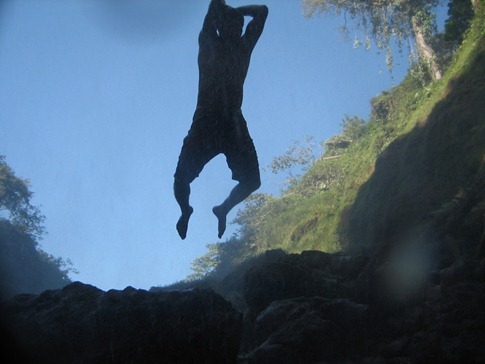 Alex stepped to the edge and jumped the 30 feet to the pool below, motioning us to follow. All of a sudden, it didn’t seem that crazy. With Ann snapping pics from the overlook, we each took the plunge. 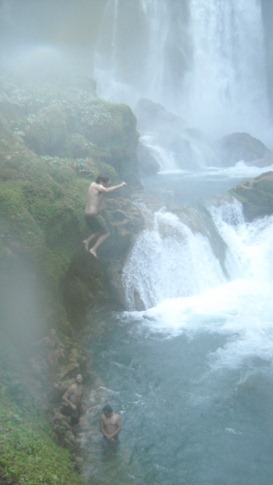 And a swim above the falls. We returned to the brewery to find Tree emerging from under the open hood of the Sprinter, hands covered in grease and the hair of a mad scientist. In his hand was a zip lock bag with a brand new turbo resonator. I mean, I knew OutdoorPlay had great service and speedy international shipping, but this was ridiculous! He explained that before they’d left for the trip, he’d gone to the local Mercedes-Sprinter dealership and said, “Give me one of everything you’ve replaced on a Sprinter.” $1000 later, he had a roof box full of parts, many of which he hadn’t even looked at but knew just might come in handy some day. Well, today was that day, and after we left, he remembered about the box and figured he’d take a look. We had it installed 10 minutes later. The pitchers flowed again that night, inspiring some experimental photography. Below are the ones I could post. 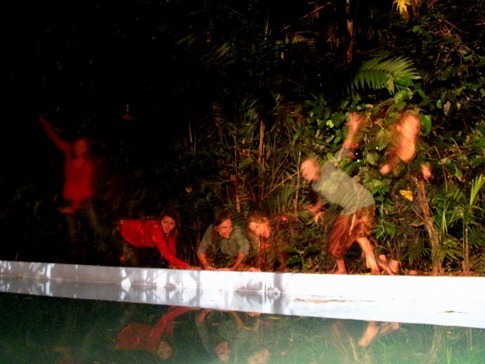 And it wasn’t until morning that we learned that after a plea from the ones who gave SprinterLife life, their parents, they decided not to risk another breakdown alone on the Caribbean coast and continue on with us towards Nicaragua.